This level has hard difficulty and you need to use good strategy to complete this level. 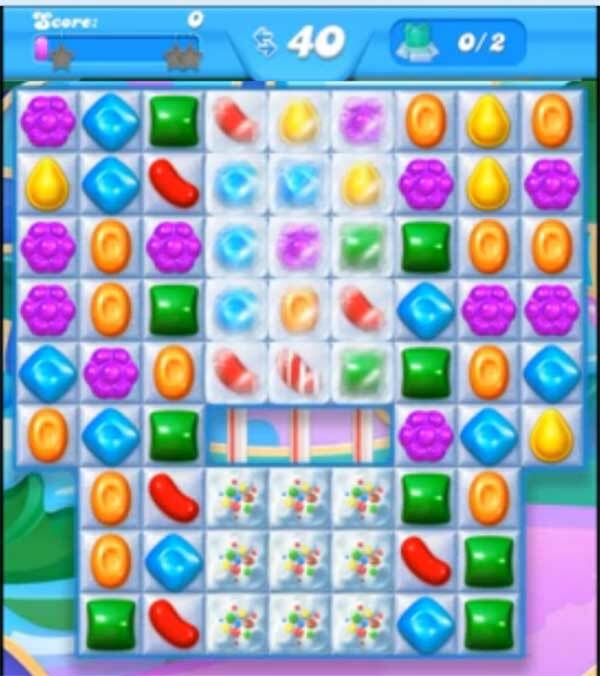 For this level you should try to play from the bottom part of the board to shuffle candies as it will help to make special candies. Try to make striped or wrapped candy combo with colorbomb to break more snow. After play near where you find the bear body part instead of breaking all snow as it could wast you moves. This level only one bear now at bottom.